Former Partick Thistle and Hamilton manager John Lambie has passed away. It was announced that he had died this morning on a message posted on the Jags’ website. As well as spells in the dugout at Firhill and Douglas Park, Lambie also briefly managed Falkirk where he spent 10 years as a player at full back. He also played for St Johnstone before retiring and became a coach with the Perth side in 1974. 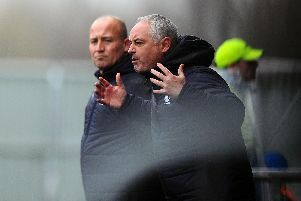 After spells coaching with Hibs and Hamilton, he became the Accies’ assistant manager alongside Bertie Auld, whom he succeeded in 1984. Lambie had two spells at Hamilton and three at Partick Thistle where he is regarded as a legend. He retired from the Thistle hot seat in 2003 and took up a place on the club’s board and was awarded the position of Honorary Vice President in August 2006.